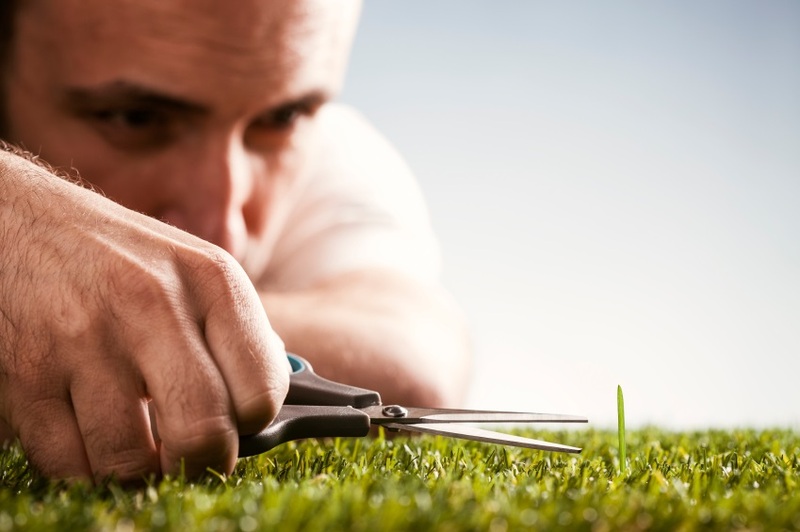 Are you a unhealthy perfectionist? Perfectionism is a condition whereby the individual sets high personal standards, either for themselves and their own behaviour and actions or they set the same expectations for others. They tend to want or expect things to be flawless with the personal drivers of 'Be Perfect' or 'Be Perfect for me'. Research has shown that the behaviours and verbalisation associated with these drivers are predictable which means that something can be done to reduce the distress and negative emotion linked to unhealthy perfectionism. Research has shown that perfectionism has two dimensions Perfectionistic striving and Perfectionistic concerns and it is important to understand the differences. Perfectionistic striving. Perfectionistic striving refers to the individual themselves, whereby the person attempts or endeavours not to make mistakes and does their best to be as good as possible at whatever activity is in hand. Perfectionistic concerns. Perfectionistic relate to the individual’s level of worry or anxiety about making mistakes, doubts about their own actions, feelings that there is a discrepancy between their own standards and their own performance or actions, worries that others will negatively judge them for mistakes or failures to be perfect, or a negative emotional reaction to situations that do not meet their exacting demands. Healthy perfectionists tend to score high in perfectionistic striving and low perfectionistic concerns. Unhealthy perfectionists tend to score high in both perfectionistic striving and concerns. 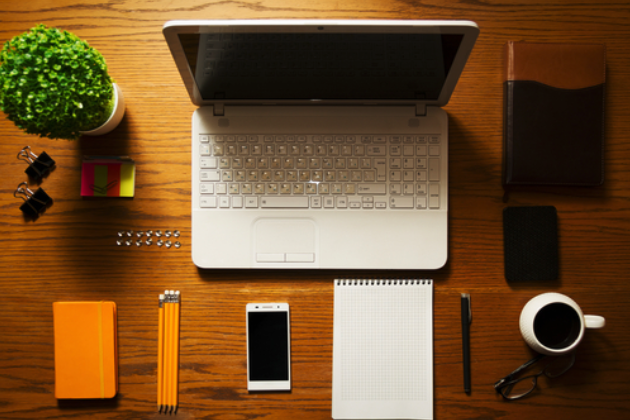 Recent research  by Ashby and Gnilka has shown that there are three types of perfectionism. Adaptive Perfectionism. This is associated with high personal standards in which the individual adapts or is flexible about those standards in response to changes in the environment. In effect, adaptive perfectionists tend not to take themselves too seriously. Maladaptive perfectionism.This is the internalisation of failure to meet the standards leading to a massive reduction in self-confidence and demonstrate intense self deprecation. Maladaptive perfectionism has been consistently linked to depression, anxiety and increased levels of stress. Maladaptive perfectionists realise that the world doesn't meet their exacting demands and find this stressful. Non-perfectionists. These tend to be individuals who have do not expectations of themselves, others or of situations. The research showed how the different forms of perfectionism respond when their standards are not achieved. Adaptive perfectionists suffer significantly less stress when faced with failure or a situation where they didn't meet their standards. They will tend to initially be disappointed, however they will resolve these feelings and quickly move onto the next task. Maladaptive perfectionists tend to be much more self- critical, dwell on both their own lack of performance and the lack of standards of others. The study found that adaptive perfectionists have significantly less stress than both maladaptive perfectionists and non-perfectionists. They also found that maladaptive perfectionists have significantly more stress than both adaptive perfectionists and non-perfectionists. 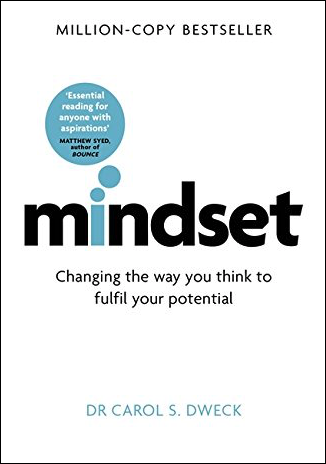 The research doesn't mention this, but it could be linked to the Growth Mindset described in Carol Dweck's work. At the individual level, the research by Ashby and Gnilka showed that there a different coping mechanisms to deal with perfectionism (or the lack of it!) and that adaptive and maladaptive perfectionists deal with the situation differently. Task-oriented coping. This means focusing on the problem itself, assuming the problem or situation can be changed, and if so, attempts to take direct action to reduce the amount of stress experienced. Emotion oriented coping strategies. These are focused on reducing negative emotions, largely by avoidance of the situation or by denial of the existence of the issue, or by just giving up hope and assuming that the situation cannot be rectified. Distraction. This involves avoiding the actual problem and engaging in other issues with an assumption that the situation cannot be rectified, or the best solution would be to just avoid the issue. Social diversion. This strategy is based on either seeking diversion from the issue by recourse to others or trying to get others to assist or deal with the issue. In terms of the strategies used, adaptive perfectionists tend to use significantly more task oriented coping strategies whereas maladaptive perfectionists (with the highest stress rates) tended to resort to emotion oriented or avoidance based coping strategies. In addition, adaptive perfectionists were less likely to use emotion-oriented coping strategies and tended to have greater recourse to social diversion strategies in situations where they have little or no control compared to the other two types of perfectionist. 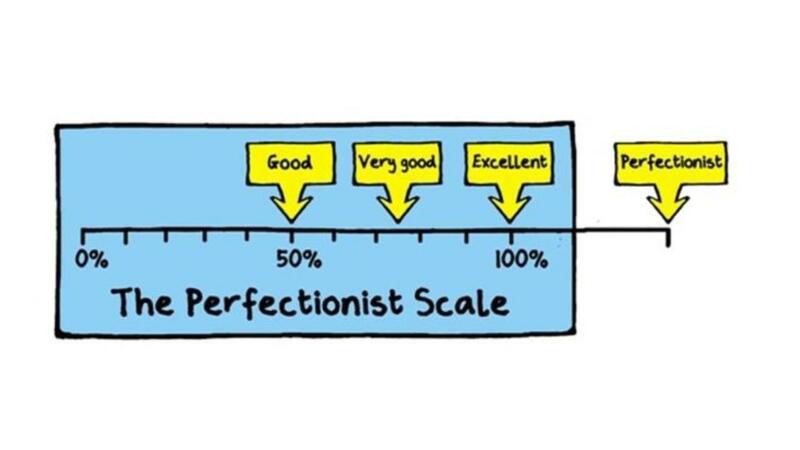 The way in which the problem of 'perfectionism' is approached is key to reducing distress. Making the assumption that we have a level of control and the ability to change the situation tends to mean that the individual looks towards engaging with and solving the problem. As a consequence, this tends to lead to less stress over time along with the self-belief that success is possible. However, people with lower levels of self-confidence tend to suffer from greater levels of stress in difficult situations because their strategies tend towards the avoidance or distraction forms of coping. Research in other areas by Dr Taibi Kahler has shown that those personalities who have a driver of 'Be Perfect' respond to distress in the form of micro-managing, over-controlling and failure to delegate because they want to ensure that everything is perfect in whatever they do and they don't trust others to have the same standards. The irony is that by not delegating effectively, they don't have enough time to do things as they want them to be, which means they take more control and so the circle continues. To invite these people out of distress, we need to actively and overtly recognise the work they are doing. Phrases like "Good job", "Great idea", "Well done", "I appreciate your hard work", Thank you for making the deadline", "Great analysis", "You are really great with numbers" and "Great report" will all help. Furthermore, providing a structure to their time through the use of deadlines, agendas and task lists can really help reduce their focus on perfection. Dr Kahler also showed that those personalities who have the driver 'Be Perfect for Me' start to push their beliefs onto others and 'preach' their opinion as being the only way when others don't recognise and value their opinions or the value the work which they have done. To invite these people out of distress, we need to recognise the value behind the work, not the 'product' itself. Using terms or words of praise like "I admire your dedication and commitment", "You always do quality work", "That was an outstanding report", "What is your opinion? ", "What do you believe we should do? ", "I admit the way you practice what you preach", "I know I can count on you" and "Great idea" will have a great effect on these people. If you are an adaptable perfectionist, you recognise what high standards can be and aim for them - you resolve to work around the limitations of the system and are happy to fail. However, if you are maladaptive towards perfection, you are likely to become distressed and frustrated over the imperfections in your life. Such stress will have a negative impact on your performance. To invite those who are distressed by an inability to be perfect, or for others to be perfect for you, then look at how this focus on perfectionism manifests itself and address it accordingly. If it is you which struggles with perfectionism, look at being more adaptive. We cannot change the world, but we can help design a system in which the change is incorporated. If you’d like to know more about how to improve the performance of your team through understanding the models you use, and close the gaps which you have found in applying that knowledge, please get in touch. "All models are wrong, but some are useful" - how useful are the personality models you use? NASA used PCM as part of their astronaut selection - why? Join our mailing list to receive the latest news and updates from Human in the System. We won't spam you, we promise. It's illegal and we hate it too!